Palmerbet Racing Team is saddling up for Day One of The Championships, and here’s the big Group 1 3YO race, the ATC Derby. 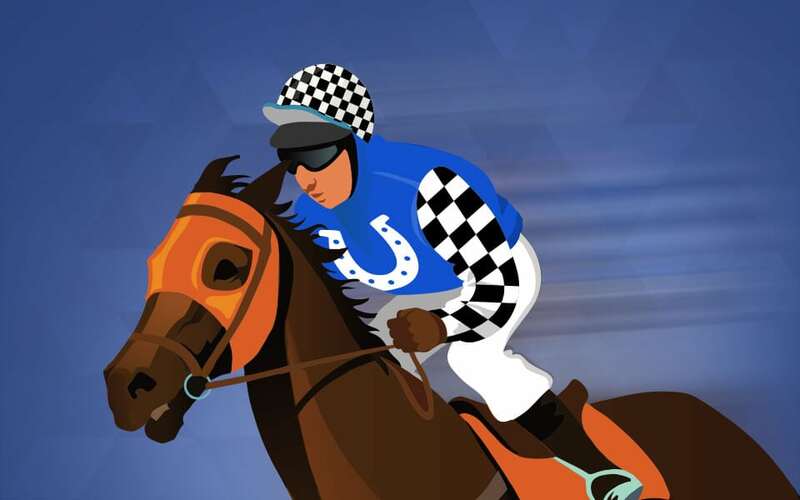 Here’s our runner by runner preview – keep reading to see our tips! Super impressive in the spring winning the Gr 1 VRC Derby over 2500m in dominant fashion. Is very fit, form is Ok and is going to be in the box seat all the way from this glorious gate. Big show. Outstanding stayer in the making. Won the Gr 1 NZ Derby then first start here was 2nd across the line before being relegated to 4th in Gr 1 Rosehill Guineas. Better for the run, acclimatized well now and looms as a major player. Put up the best run in the Gr 1 Rosehill Guineas over 2000m when he came from last to be placed 2nd. Now has a couple of Gr 1 placings to his credit and looks to be mature enough to handle this trip. Looks one of the toughest to beat in this. Was beaten a nostril in the Gr 1 NZ Derby then sat wide and ground home solidly on Aussie debut when closing and close up 8th in Rosehill Guineas. Better suited this trip. Plugged home fairly when in a clump of horses as they hit the line in the Rosehill Guineas. The run suggested this trip will suit but others rate better. This is an interesting galloper. He was given a gem of a ride last start and duly out-gunned the smart Astoria in the Gr 2 Tulloch stakes over 2000m. Has always been able to mix it with the best of his age. Trip is a worry but his class isn’t. Strong, exciting stayer. Sat up on pace in solidly run Tulloch Stakes and was beaten in last few yards by Levendi. That will top him off nicely for this. Back in the spring, did run a cracking 3rd to Ace High in the Gr 1 VRC Derby. Big show. This bloke could be anything. Was stood on his head a couple of times when making a winning charge down the running in the Rosehill Guineas when being awarded 3rd spot, but the reality was, he should have won the race running away. Could quite easily, make a mess of these. Is the dark horse and could be the blow out runner. Took a road less travelled by his rivals in the Group 2 Sky High Stakes against the older horses as his lead up to this, and came home very quickly for 4th. Everything about the run said this trip would suit. Put him in your numbers. If last start is any indication, he’ll go forward and make it a true staying test, which should suit the other Kiwis. But he should wilt final stages. Mind you, if left alone in front he might surprise a few by keeping on keeping on. Ran a nice 4th in the Gr 1 NZ Derby then first Aussie run was well beaten in the Rosehill Guineas. May not be up to these. Ran like this trip would suit when solid closing 7th in the Rosehill Guineas. Didn’t have much luck early. Run will attract attention for this. Was showing staying talent back in New Zealand when 5th in the Gr 1 NZ Derby but was thrashed on Aussie debut in the Rosehill Guineas. No. This bloke looks like he will eat this journey and appreciate it more than most. He’s still very green and weaved through runners for 5th in the Tulloch Stakes last week. That doesn’t even begin to tell the tale of how good the run was. He was 15 lengths behind the lead at the 800m and was beaten 2.2 lengths on the line. Respect a great deal. Had the gun run and just plodded home final 300m when 4th in the Tulloch behind Levendi. He beat Belfast home by a nostril. Can’t see him being in the finish here from this alley. Has heaps of talent but hasn’t come up at all this campaign. Finished many lengths of the smart ones in past two lead up runs. Has talent and is an on pace runner who will go forward here as he did last start in the Rosehill Guineas before folding up and finishing well back. This is too far. Aiming too high here. Wouldn’t win this with a head start. T: Todd Howlett/ J: ? Is fast early and strong late – but at this level that may not be the case. Did go quickly in the Tulloch Stakes last week before weakening final 100m for 9th to Levendi. Not keen. T: Anthony and Ed Cummings/ J: ? Has definite staying talent which he showed when he won his first race at Gosford but this grade has his measure.